Allison de Groot & Stash Wyslouch – Tradition steeped in possibility. 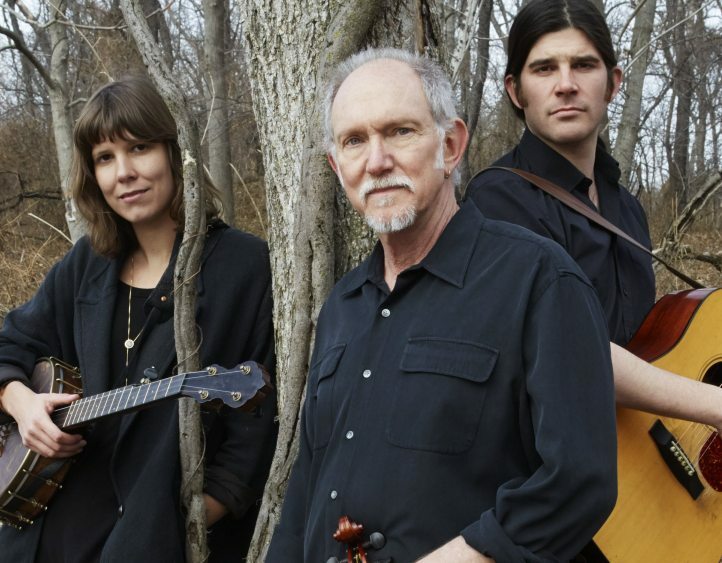 Bruce Molsky, “one of America’s premier fiddling talents” (Mother Jones) and Grammy-nominated artist on fiddle, banjo, guitar and song is delighted to present his new group already on tour in the US. Bruce’s previous collaborations, with Anonymous 4, 1865 – Songs of Hope and Home from the American Civil War, was released to rave reviews and was on the top 10 Billboard charts for weeks. He is also a special guest on legendary guitarist Mark Knopfler’s latest CD, Tracker and is working on his 3rd album with Andy Irvine & Donal Lunny’s supergroup Mozaik. You can also hear Bruce on BBC TV Transatlantic Sessions singing with Joan Osborne, Julie Fowlis and fiddling with Scottish legend Aly Bain and America’s great dobroist Jerry Douglas. Bruce is also Berklee College of Music’s Visiting Scholar in the American Roots Program. Allison de Groot combines wide ranging virtuosity and passion for old-time music. With her own bands The Goodbye Girls and Oh My Darling, she has played Trafalgar Square in London, Newport Folk Festival, Stockholm Folk Festival the Winnipeg Folk Festival, and Tønder Festival in Denmark. Like Bruce, Allison loves collaborating and bringing new ideas to old music, and brings a fresh approach to the trio. Boston-based Stash Wyslouch is one of bluegrass’ great young genre-bending pioneers. He got his start as a guitarist in metal bands before immersing himself in roots music as a member of The Deadly Gentlemen. Stash is a veteran festival performer, having played at Grey Fox Bluegrass Festival, Rockygrass, Merlefest, Savannah Music Festival and others. Coming over from the punk-metal world, Stash brings great sensitivity and real emotion to the trio, plus some superb guitar and vocal chops.